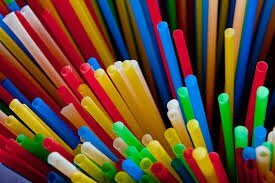 As a result, I hate straws, I hate the decorative little kid’s cups that the straws are generally inserted into, and I’m not a fan of establishments that have either of them, even though, I know they’re just trying to help. What does arresting a mom for letting her kid wait in the car for 5 minutes have to do with the straw ban that comes with a potential 6 mos jail time? And, well, No! Just No! Let’s not create yet another ‘crime’ that people can be thrown in jail or regressively fined for. This isn’t the way. If you’d like to light Tiki-torches and march on the home of the CEO of Straws-R-Us… well… fine. But, please, let’s not create another nonsense crime where more of our compatriots wind up spending time fighting charges, or God forbid, spend time in jail or money buying themselves out via fines and lawyer's fees.